Why would republicans 'panic?' They dont know whats in them any more than you do. No, it's a legal requirement. As Al Capone found out. 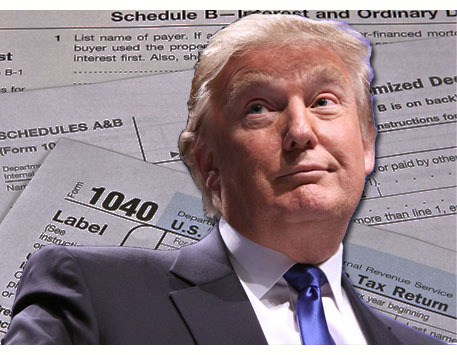 For some reason, you seem as reluctant as the president to see his tax returns released ? No, but she's still is a representative in the United States government. Also, her husband has been involved in at least 1 shady deal (See: Visa's stock), I want to see if she may have had her mitts in the jar. That seems only fair, since that's close to what the House Democrat pusbags are filling up their undies about with Trump. Next, I want to see Mad Magazine Maxine's taxes. She got $12M in bailout funds to her husband's bank. What else has she gotten? Such oversight does not include access to the president's tax returns. It's a legal requirement to pay your taxes but definitely not a legal requirement to open them up for public scrutiny or political scrutiny. She is next in line of succession after the Vice President. I want to see her returns. What does Al Capone have to do with Trump not showing his tax returns when he ran for President? It's not a legal requirement for him to reveal them to the public. Only to the IRS. I have to ask, did anybody bring up the hilarious conservative narrative of "wah wah Obama didn't release his college transcripts" or the even more hilarious narrative "wah wah why wont he release his BC?" It seems they are going with "I wanna see Pelosis returns!!" I think it's actually the democrats who are panicked. They got the word that Mueller is just weeks from wrapping up his Russian collusion hoax investigation and has nothing on Trump. Just white collar and process crimes of some former aides. Perhaps next, they will desperately investigate whether he pulled a girl's pigtails in 2nd grade. Last edited by ObamacareFail; 02-06-19 at 06:57 PM.